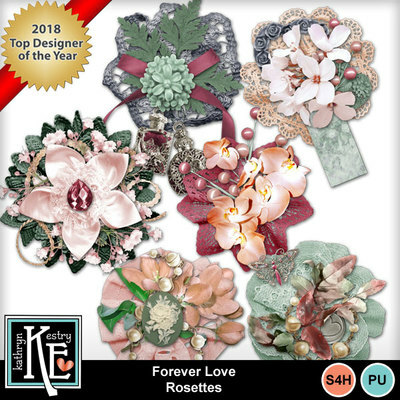 You'll love this collection for scrapping "love" layouts, Valentine pages, or any elegant layout. This collection will work well for everyday photos as well as weddings and other special events. Save 50% with the Discount Bundle and get the Rosettes FREE!